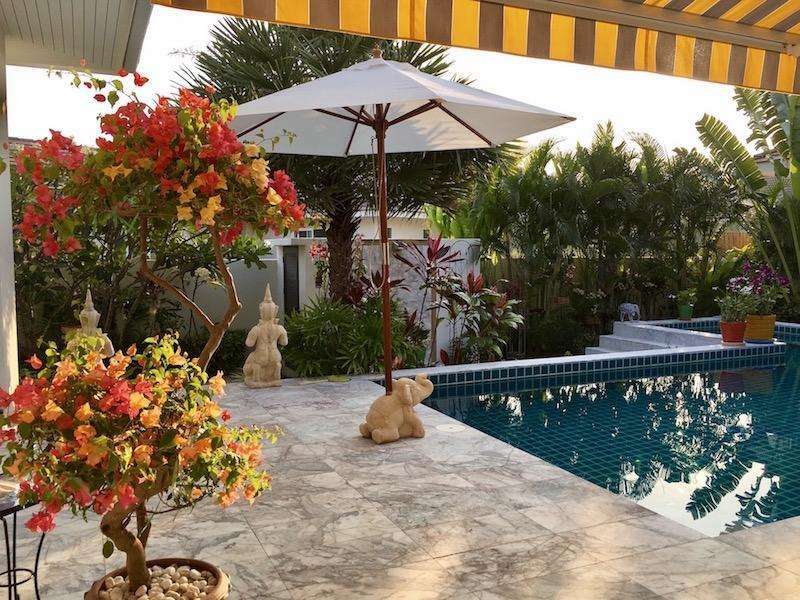 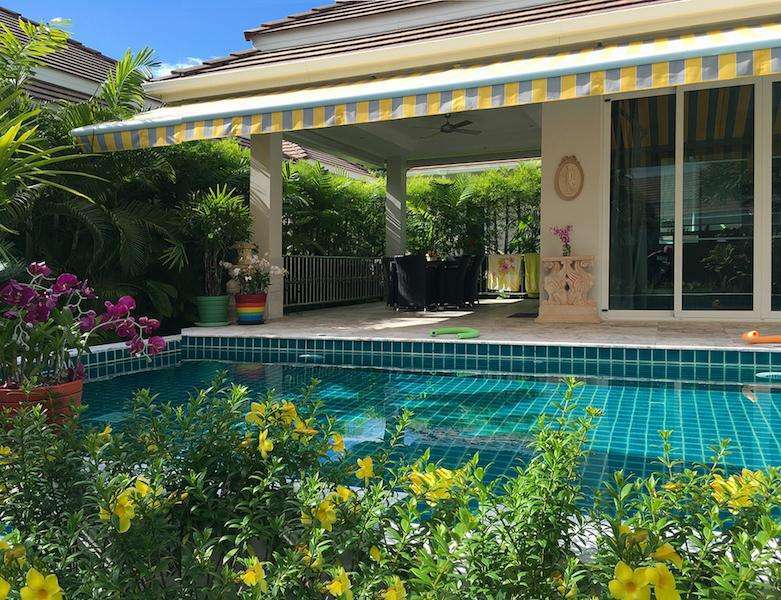 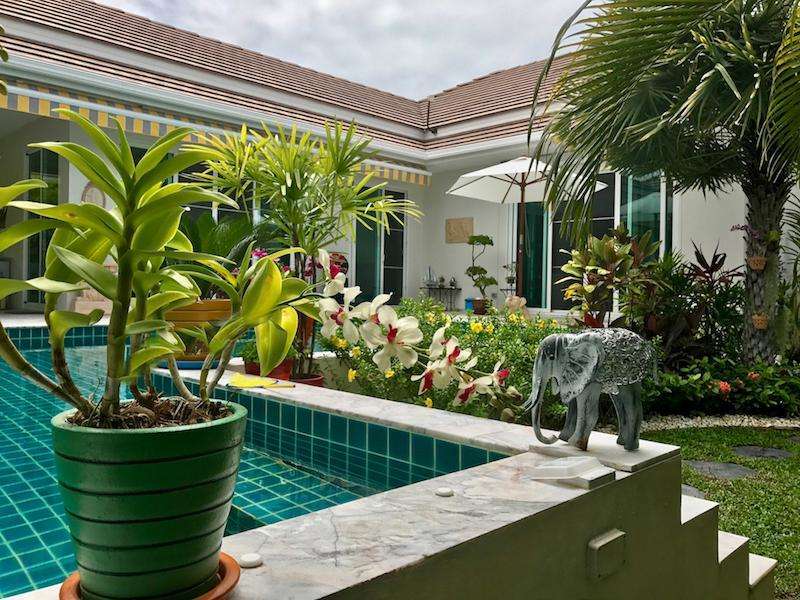 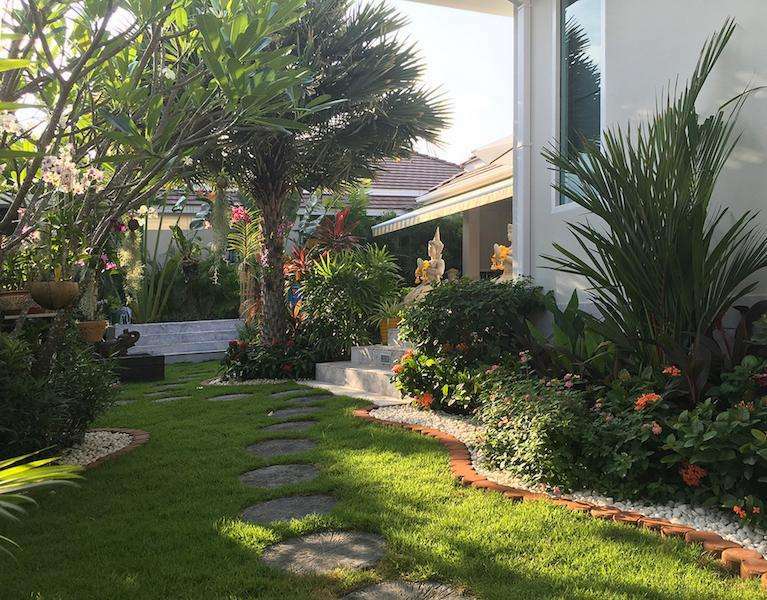 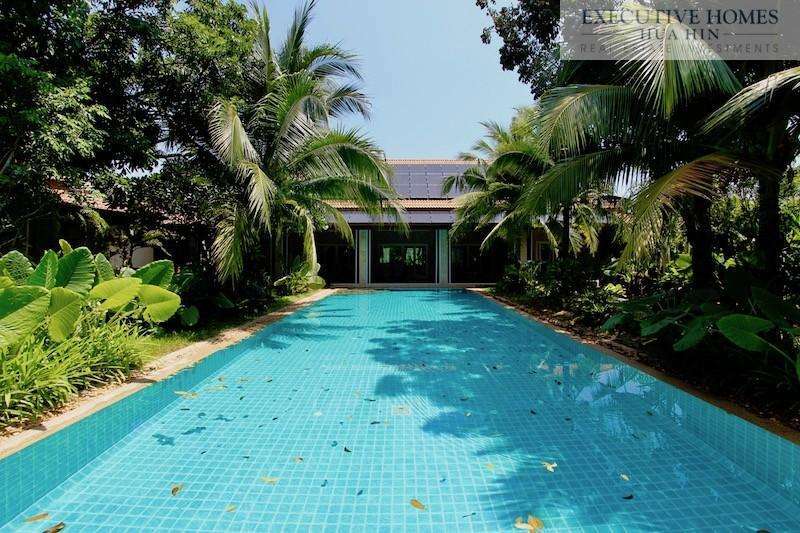 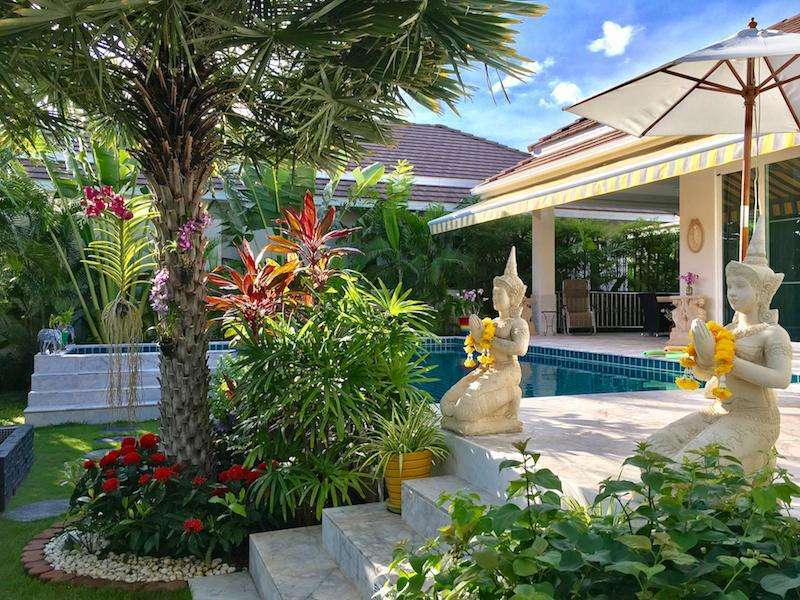 Hua Hin rental property in the popular Red Mountain development with spacious living areas, a large private pool and beautiful gardens. 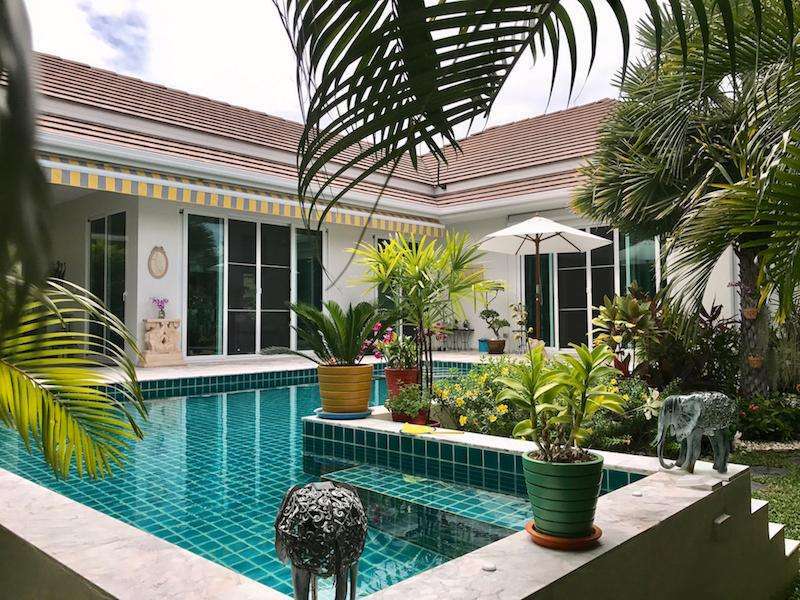 The home features 3 bedrooms, 2 bathrooms and large walk-in closets, a laundry room and lots of storage space. 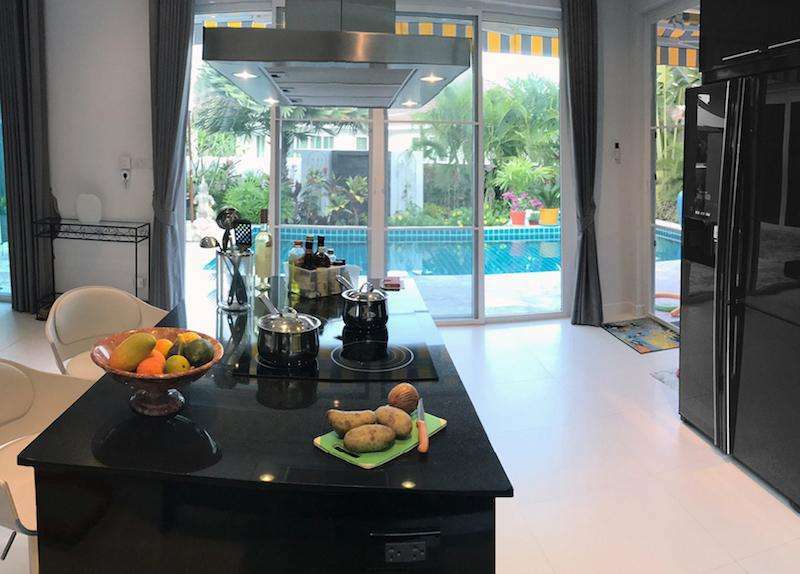 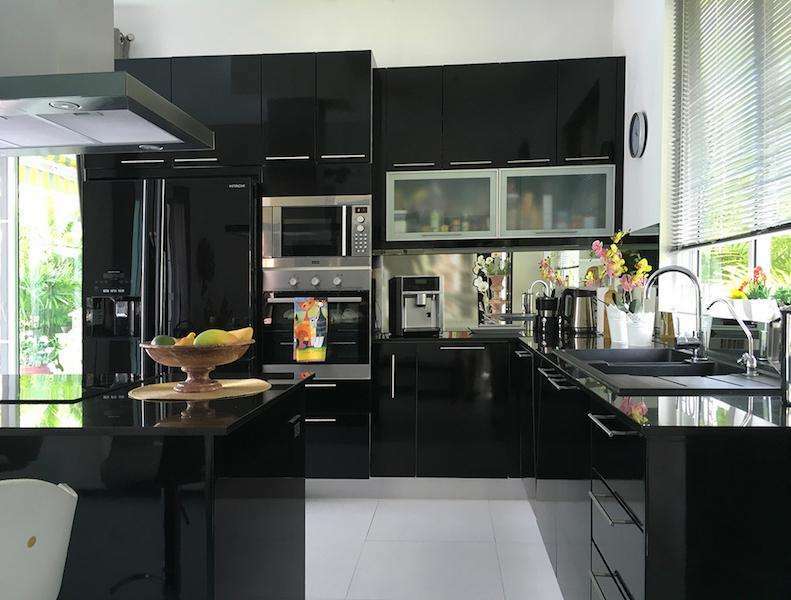 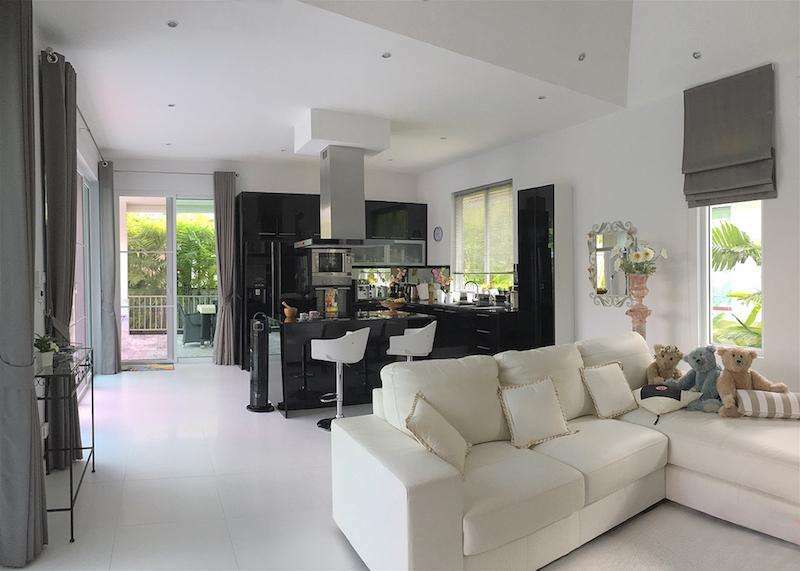 This tropical pool villa is supplied with a designer kitchen, fully equipped with high quality appliances. 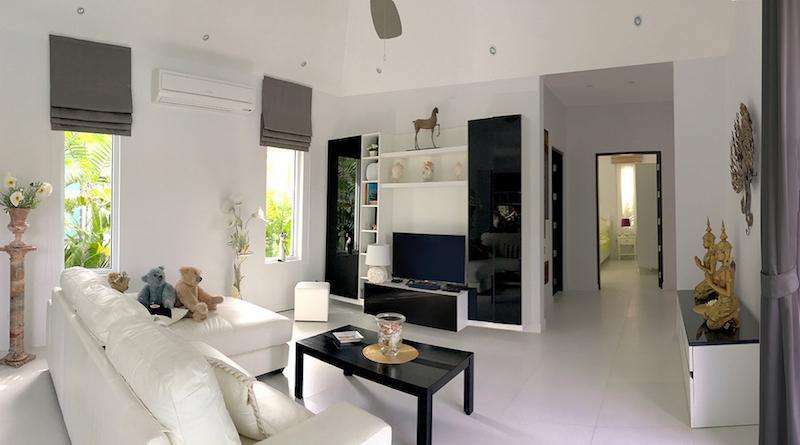 There are also ceiling fans, air-conditioning and full furnishing inside and outdoors. 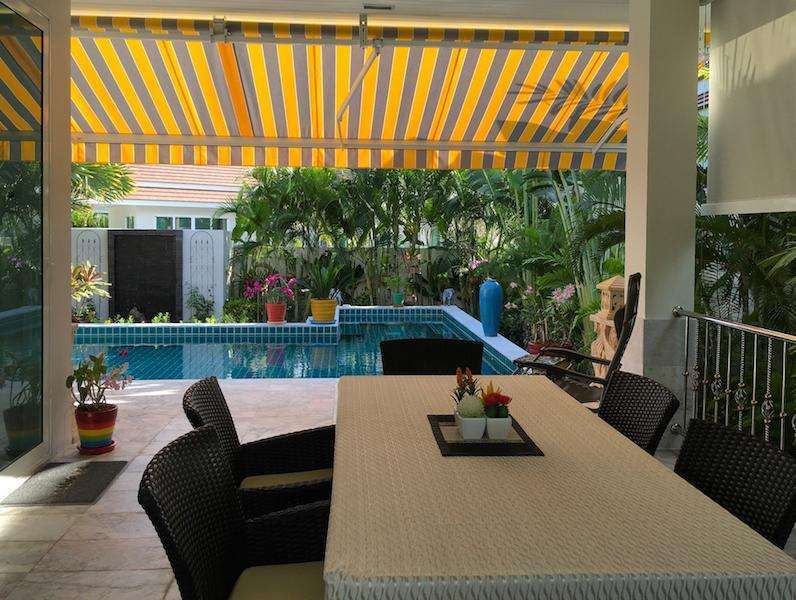 The property also includes a spacious living room, dining area and an outdoor covered terrace with awnings for sun protection. 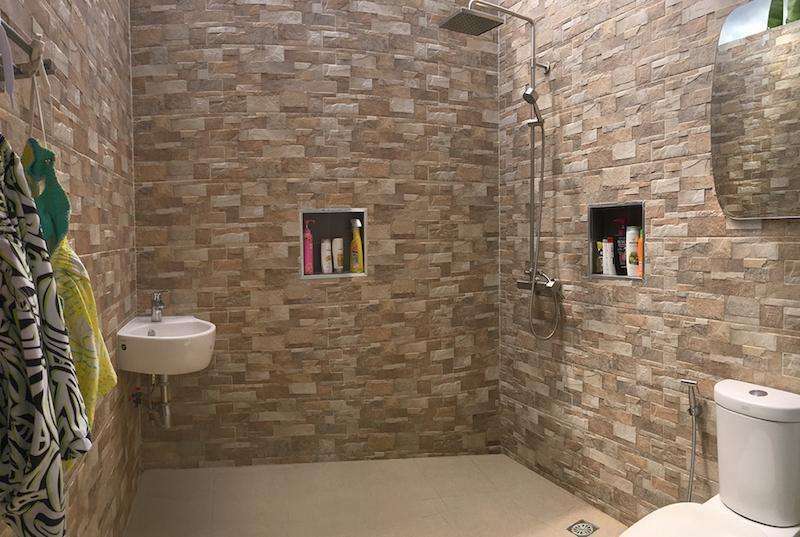 Indoor storage room with washing machine. 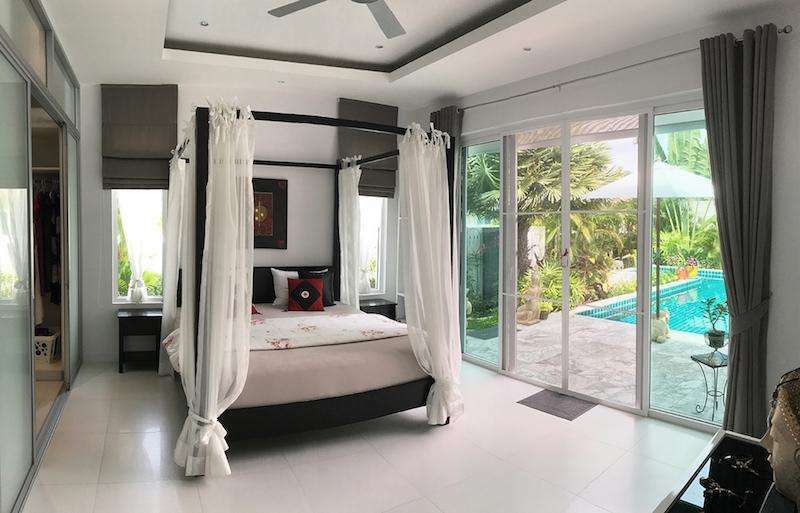 High ceilings, large windows and doors and a breeze of air flowing through the villa. 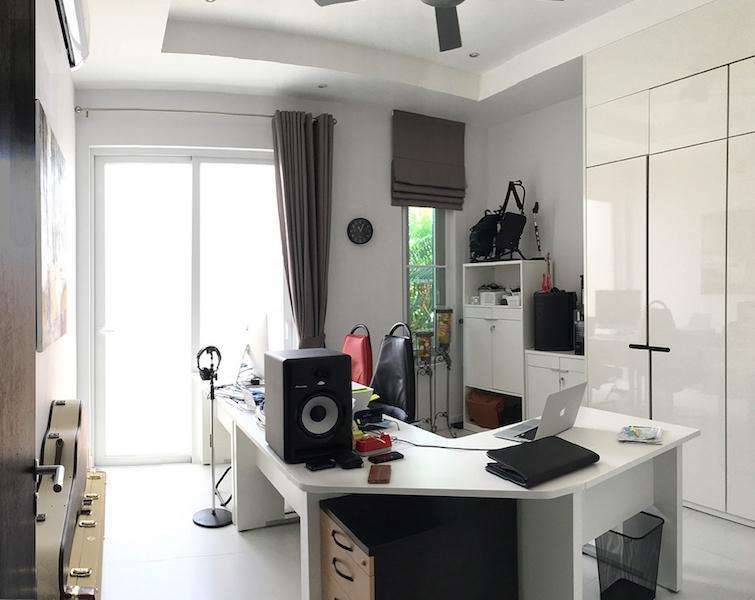 Storage room with 2 windows. 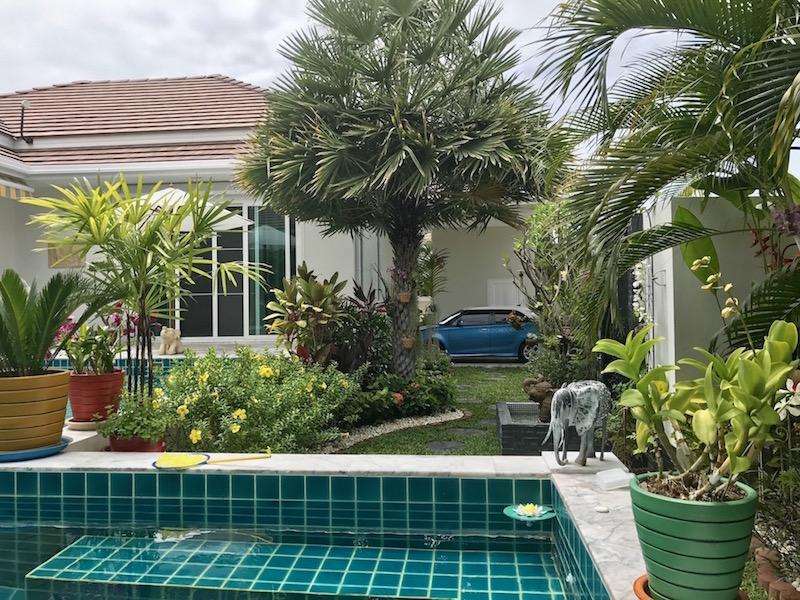 The development includes on-site facilities: maintenance services, 24 hour security, pool cleaning, gardening services, air conditioned shuttle bus service, street lighting, and garbage collection.